One notable group getting attention for the various ways it’s been hit by the federal government shutdown is Colorado’s $3 billion craft beer industry. Brewers looking to open locations, move addresses or expand operations are required to file paperwork with the Alcohol and Tobacco Tax and Trade Bureau, also known as the TTB. That department is closed during the shutdown, which means those permits are sitting on desks not getting filed. 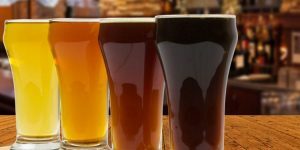 It can be a major blow for breweries that are currently paying rent but unable to launch their operations and collect revenue. Other breweries in the startup stage might have been expecting to get a Small Business Administration loan that they now can’t get, said Bart Watson, chief economist for the Brewers Association, a Boulder-based trade group for craft beer. Established breweries are also feeling the burn of the shutdown. Breweries that ship beer across state lines require label approvals for new products, Watson said. And any brewery that makes beer using an ingredient not on a pre-approved list requires a federal formulation approval. The worst-case scenarios could be big for craft beer — an industry that has grown much since the last time there was a shutdown of a significant length. The current result of the shutdown has been a series of new roadblocks on top of several other challenges craft breweries have faced over the last few years. While government shutdowns do happen, it’s difficult to plan for wild changes in the government, said Andres Gil Zaldana, executive director of the Colorado Brewers Guild. Despite their own impacts, Zaldana added that a lot of breweries are trying to do work to help out furloughed government employees. That’s what Kirby Nelson-Hazelton has seen at her Estes Park brewery, Rock Cut Brewing Co. Located just outside Rocky Mountain National Park, Nelson-Hazelton said she had been starting to notice a slowdown of visitors. (However, she added January tends to be a slow tourism month for the park and the brewery has a steady group of community regulars. Rocky Mountain has also recently added some limited services.) Despite what she is seeing at her own brewery Nelson-Hazelton said she’s most concerned about furloughed employees and has seen the community try to bolster them. She said she also feels for neighboring businesses that rely on tourism and for her fellow craft breweries that might not be able to open or ship out of state.